The EXxtreme safe is just like our regular 12 gauge safe except we skeletonize the door and then weld a 10 gauge plate on top to strengthen it and cover the front and side gaps to resist prying. When out of stock, you can substitute a model LD2042 or LD2042EX. With the 2042 you leave the pocket between the 12V port and the Multi Media port. 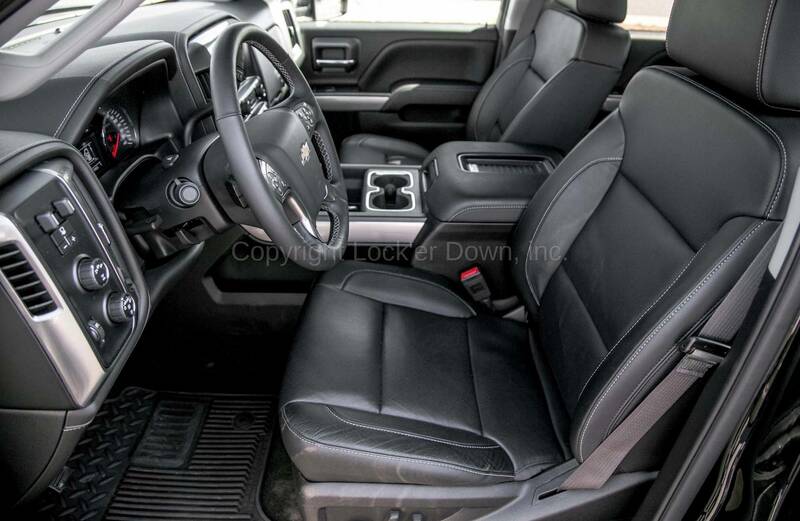 The new 2014 Sierra and Silverado 1500 series Crew Cabs have arrived! 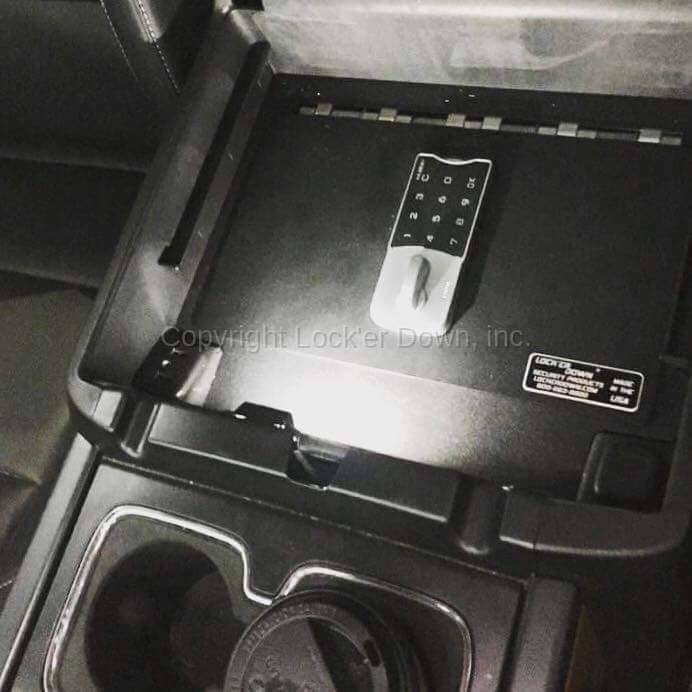 Lock'er Down is the first to produce the first console safe for this model truck. This safe also will fit 2015 - 2018 Sierra & Silverado models 1500 & HD's You will not be disappointed. This model is available with several lock options, please choose before adding to cart. Purchased this for my wife's new GMC Sierra 1500. Watched the installation video and then went out and installed this safe in less than 5 minutes. The fit is excellent and it just looks like part of the interior. We opted for the electric lock as most of our other safes have electric locks. With this in place, I now have no concerns about leaving our handguns secured in this console if we can't take them where we're going. This console makes it very easy and "safe" to have a dedicated truck pistol without having to worry about car burglars. This is an excellent purchase! With all the vehicle break-in's these days and theft of firearms, these safes should be mandatory for firearm owners. Not much to say, the customer video says it all. Bought the XTreme model for my 2018 GMS Sierra 2500HD. Saving up for the long safe now. One point of interest, I use the factory rubber console bottom and put it right on top of the safe, this way, I can still store stuff on the safe without marring the safe. I have the abloy locks so purchased safe for security and not fast accessibility. Thanks for a great product.